Standard product : Integral heavy duty hoop, four stainless steel wires, stainless steel snap swivel clip. 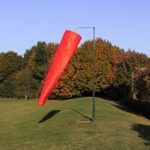 BS Standard International Orange ,High Tenacity Polyurethane coated nylon with U.V. inhibitor. Price £48.00 exc. VAT and Carriage. 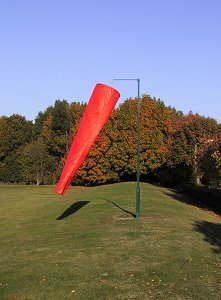 For a full range of Windsock Sizes click on Windsocks and scroll to bottom of page. ORDER NOW: EX -STOCK ITEM.